does that mean we will be able to claim the T chest twice? Your showing theis new armoron the builds where you supposed to get it? As I remember, it was in previous FM prizes. I know any concerns we have about these changes are going to be thoroughly ignored. However I was wondering why would you guys have the new big FM targets drop assault weapon shards? I am pretty sure you guys already have a TLC where we can earn those weapons so if you feel we needs more of those limited weapons run the **** TLC. FM targets should drop shards for items to be used in GARRISON fleets. I can think of a few items that would be far more useful to drop shards from FM targets. "Starting with the July FM update the regular Inferno Dragon, along with its associated components, will be available in the FM as well." Can you tell me what "associated components" will be offered so I don't bother getting them in the raid? yeah because Infernal Dragons already walk 117s right? why do you keep stating this? you know that i do all the raids. and do them coin free. @ Bort .... Is that you Will Harbin????? just curious, why do you think will would advocate playing the game for free? what is your logic to that? having said that a number of us free players have an entire proto tide fleet built from tokens alone. a chunk of my shipyard time is likely going to be spent on proto cents this month, as there's nothin else left that i need to build. as a free player. if someone is not 'willing' to get tokens, then yes they should be behind. you need to put in the effort. you need to use the stepping stones provided. the time commitment for the game is vastly less than it was. and significantly less than a year ago. particularly for the semi decent free strategy game player. the game was once at least a little challenging - now it has been dumbed back substantially. Bort dude you so need to think before you spew the absolute "2 male reproductive glands"
"you dont 'need' to hit dubs" you are correct in the game you play only ! if you just want to do chores then you dont need base parts or uranium in bulk , how ever if you play "battle pirates" then you need both and if you have a real life then you need the highest payout targets as you dont have time to in the game to hit lower payout targets and still have time for pvp !
" having said that a number of us free players have an entire proto tide fleet built from tokens alone" and that is because you put your efforts into playing "chore pirates" and tbh i dont beleive you have a full fleet ranked and fully fitted out on just tokens , because if thats true then you have not refitted your mantis at all then as dock time would not allow it ! and just a small point if you have all this free time in the game and do everything coin free and quicker than anyone else in the game could explain how you can do over 1000 postings in forums and majority are total troll statues post ! so sorry but with your stupid posts you only make yourself look stupid ! I auto 102s with my hunters. Fairly limited repair, and virtually no seat time to click one target. Base parts are easy enough to get from the expeditions. My buccs sit in an expedition 24x7. Its not like you're changing your base every single day. Now that everything is upgraded its only when i want to swap out a new top tier turret. Before stating this have you actually added up the proto tokens? its a lot that have been released. Have you added up the manti tokens as well? that is also a lot. you should at least do a small calculation before you 'don't believe someone'. if you're going back to very early game, then yes, there were less chores back then. But at that point resources were also scarce and worth protecting. Mining took forever to get res. if you're going back mid game, there have been many targets you actually needed to drive. Early uranium targets etc, you could not just auto. That equated to more seat time. You can now auto U (hunters), T (skys) and base parts (buccs). What were early U rewards - 5k? less? you also had to hit a lot of them. there was an early time when the same raid fleet lasted for a little while. But you were in huge trouble if you missed a raid prize. Remember waiting a year to get siege missiles for your MSC if you missed it the first time round? Then after a the last spectre series, you basically needed a new raid ship entirely for almost every single raid. No, you're not thinking about it. You could have the top tech in previous years and still not be able to get the top prizes. It took too day three of the raid of hard grinding to get them in many others (like 10 hours per day grind). Now you can get top prizes coin free within a couple hours. To me that is a massive difference. A couple hours of effort versus literally days. there was also real strategy to hitting raid targets. Needing to go in and out. Driving a certain pattern. Pinching at the right time. And if you made a mistake you were really punished, and potentially lost your whole fleet. Now most targets do not fit that build. You can drive half blind with Mantis and still get a reasonable repair. re build times, did you even think about that either? my first strike cruisers were a 22 day build. No fm tokens existed, no build tokens existed as raid prizes. It was literally a three month build. A manti is now around that (or less), but how many tokens are available in this raid alone? 17 mantis/flag? how many ID tokens? how many total tokens - 50? 60? Plus we get another 18 from the FM. Plus another what 30? more? from TLCs. Plus the extra shipyard. We used to have exactly 30/31 build days per month. Now its more like 150 build days available per month - without spending a single coin. Build times are down massively from what they were. I'm scrapping ships faster than ever. seems to me you're the one looking stupid. bort you are deluded as i have said before ! so for me to believe you on your statements you would not of been tweaking your fm fleet , or your chore fleets at any time ! manti tokens how many could you store ? 18 days in the fm ?? and how many times have you got 18 days of general ship tokens in the fm , because making a blanket statement of 18 days is only when you get the magical 7 day token ! if you dont get that then build tokens are down on previous fm format ! Like i said your a chore pirate thats all you are , hence your base lvl , medal count and the amount you dont know in the game ! So like many others I am apprehensive about the upcoming changes. If memory serves, the anti-charged tech eliminates the charged armor pool, but leaves the resistance bonus. Assuming this is correct, Im not refitting my IDs with the new armor. The resistance goes from 98% Exp and 98% Pen with new recommended armor compared to 97% Exp and 96% Pen with current charged armor (and this is before counting the new GIDs 50% Pen boost for the fleet). I can't see how 1 or 2% resistance is worth the refit time or extra repair time (3 vs 5hrs. If the minuscule increase in defenses is not the key, but rather the increase to the base armor, the ID goes from 40k with charged to 51K with new armor. If one target is going to do 40k/ship of damage Im not going to hit it, regardless. 20hrs repair time is not worth it, so again why waste the shipyard time. The biggest problem I have with the upcoming changes, is that you will not be able to use your new updated ID fleet to effectively hit lower targets that are tuned toward charged armor pools. Meaning that my ID fleet becomes a one trick pony that can only be used for top targets, not the grind. i hadn't needed to tweak my FM fleet. I was autoing 111s with my IBs up until the change. 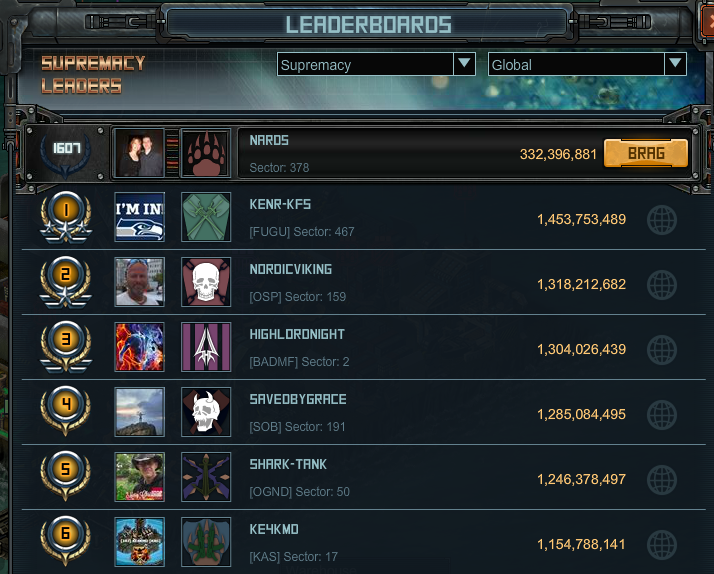 After that I just auto 117s with my IDs that were almost completely built with tokens. have not been any rush to tweak them, because they keep changing the targets. Near enough is good enough so i'll still be saving tokens up to use once I know what works. My Greta is currently building armorless to be out for VXP. Plus numerous TLCs that gave away what? another bunch of proto-tide tokens, some proto cent tokens, more manti tokens. Various PvP tokens in the Bounty as well. okay you're right 150 build days in a month was wrong. it was way under what we can actually get. ps. lol at medals. how far further do they get you in the game? You don't need to claim all those tokens from the raid to hit 150 ship build days for the month. Were you too lazy to add it up? Its really not that hard to add to 150. I even did a nice column for you - although didn't bother going back through the TLCs to get exact numbers. Claiming all available raid tokens takes you to well over 150. if you counted all possible tokens including tlcs and fm items, its probably more like 300. Actually even more. 150 is just for current(ish) stuff. Yes I realise you want to hit players in an environment that is often out of balance for PvP, for no prize or benefit whatsoever. Give the man a peanut. Thanks for the heads up Kixeye. I am just recently back from having quit the game. I have no opinion on the upper level targets being removed since I have had nothing that can hit them anyway. However, thanks for this raid series. I have been able to get tier 7 tech. For someone who was gone for 6 months from the game, that is a big deal. i think i jumped too soon before. you are kind of right - these days you don't actually need to be on the game that much to keep up. at least nowhere near the seat time you used to require. i suspect i'll be able to redeem a prize or two. admittedly i missed a day when we went away so basically wasted a day of free repair time.
" These targets do have the Draconian Anti-Charged Armor Tech, you will want Zynthonite Armor D5-XM for the best protection." ...and let me guess, D6-XM will come out next month in time for yet another slight re-tuning of the targets? I think someone needs to go back into hibernation. Things were nice here for a few months and now the sleeping giant has been awakened and has hijacked all the topic threads, making them unreadable. As far as the FM topic is concerned; I've never hit these targets that are going away and I rarely use my ID's. I have a fleet built and it has already been totally refitted once. Looks like I will refit with the preferred armor and build the Flag. Looks like a 2 month refit total and what's the use of complaining. It would be nice to see a reduction on the build time of this armor that needs to be refitted onto the hulls. I calculate 1d 9 hrs per armor approx. An even 1 day build time would be nice. not any positive feedback go back to ur flipchart and try to earn money with real innovations pls, u should start thinking about rly. Ur community manager must be blind and deaf cause he did always something else then 99% of the ppl said. i would hang him up in front of the company to scare off successors. Keep telling yourself that, maybe a rainbow will pop out your **** also. Here is a couple links for you to read. How about you guys actually read the comments from these links. This is just hot garbage. Braxton_Kallanar said:With those new targets and these "suggested" builds. What kind of repair times were being received by the test fleets? 5 days without response from a so called "test team" that figured out those plans for the "suggested" build proves that. lol. You have to get/use the limited ones now, free to hit repair, pay to play.